Silicon Cert Laboratories attends trade shows to share knowledge and expertise. From April 17 through April 21, SCL exhibited at the SPIE Defense and Commercial Sensing Expo held at the Baltimore Convention Center. This event was billed as one of the largest sensing, imaging, and photonics technology expos and this was our best show in years. 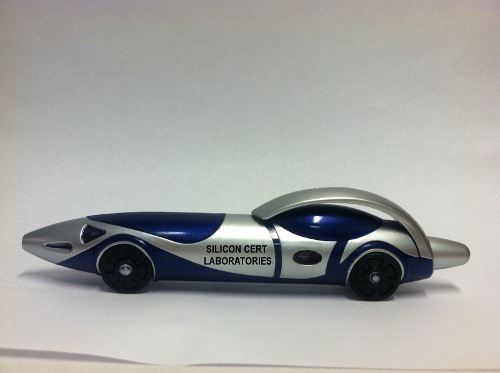 We had the opportunity to interact with other companies in the field, meet prospective new clients, and hand out the 2016 Silicon Cert Laboratories' car pen. SCL thanks everyone who visited our exhibit and we look forward to seeing you at future semiconductor trade shows!